Pastor David Catoe, recorded LIVE on Sunday morning, August 24, 2018, at Danbury Baptist Church. Pastor David Catoe, recorded LIVE on Sunday morning, August 19, 2018, at Danbury Baptist Church. Pastor David Catoe, recorded LIVE on Sunday morning, August 12, 2018, at Danbury Baptist Church. 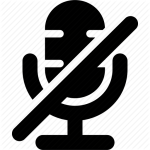 No audio this week. 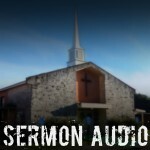 Below are Pastor David’s sermon notes for the sermon preached on August 5, 2018. Pastor David Catoe, recorded LIVE on Sunday morning, July 29, 2018, at Danbury Baptist Church. Pastor David Catoe, recorded LIVE on Sunday morning, July 22, 2018, at Danbury Baptist Church. Pastor David Catoe, recorded LIVE on Sunday morning, July 15, 2018, at Danbury Baptist Church. Pastor David Catoe, recorded LIVE on Sunday morning, July 8, 2018, at Danbury Baptist Church.